I’m experiencing Christmas in July as I work on a daily devotional MARKINC will launch this Christmas season. So instead of writing a weekly blog, I’m posting some of the more popular ones from my old blog. This was originally posted October, 2012. "Do you have Grammy?" asked our grand daughter as she poked her head into the van and looked around. Katie didn't want me to get left behind. Our family of 21 was piled into several cars to head to Downtown Disney and everyone in my car laughed out loud at eleven-year-old Katie's question. But Katie's serious and obvious concern started me thinking about how our grands might view us (OLD and needing oversight?). 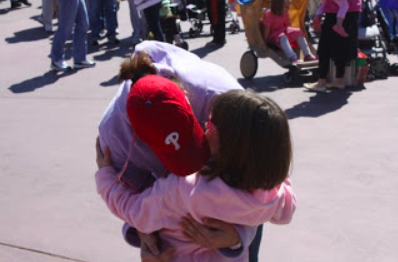 The next day we experienced every parent's nightmare when one of our six year old twinnies melted into the Disney crowds and was missing for an eternity (at least five minutes). Some of the cousins cried tears of relief along with the adults when we saw her walking toward her Mommy. After that terrifying experience, not one of the thirteen cousins objected when their parents demanded they stay close and connected to at least one adult. For the next few days all of us counted heads. During one of those counting moments, nine-year-old Mollie seriously remarked, "I'm keeping my eye on Grammy!" I am passionate about legacy and passing on a biblical view to our children and grandchildren. So I know our grands are watching us, but watching out for us? Mollie's comment started me thinking again about how I viewed my grandparents at this age. From my childhood and teen seasons of life, they looked OLD! (I also thought my parents were very old and now I know they were actually very young.) Do our grands see me as that old? When I complain to Katie about my old age aches and pains, she consistently exhorts me, "Grammy, you're not old!" But....well, her little brother C.J. got my attention as we gobbled some fast food when he exclaimed with wonder, "I'm spending the day with an old person." My reply, "C.J., who are you talking about?" C.J. - "How old are you, Grammy?" Me: "64." C.J., "Well, I'm five." His accompanying facial expression clearly communicated, "Enough said." Ok, so to some of my grands, I'm old. But do I really need someone to keep an eye on me? Well, maybe on some days. Spend money on your hair and body so you can look younger--because you're worth it! God's view just doesn't square with my body's view of aging as in "help me get off the floor, please." Maybe that's why our grandchildren think I need to be watched over! Son Chuck's take on this sea of aging humanity was different than mine: "Well, they actually encourage me because they are active, they aren't giving up on life, they seem to be enjoying it. Something fun to look forward to." The grid through which we view life is everything. I don't see myself as old. Maybe I'm a young old. Maybe 62 is the new 52. I have periods when my life feels busier now than when I was raising four children. Opportunities for ministry in this season of life are more than I have hours in my day to accomplish. And as long as I get my Happy Hour (afternoon nap), I'm good to go! Back to being watched over by our grandchildren. As Chuck and I walked into Hollywood Studios with 3 of them, Mollie pointed out the Sorcerer's Hat and said, "Mommy and Daddy told us that if we get separated from them, to come to the Sorcerer's Hat and they would find us." I smiled and asked, "Are you telling me that so that if you get lost, I'll know where to find you or are you worried about me getting lost?" Mollie smiled mischievously and replied, "Just sayin'..."
I'm thinking that our grands are not just watching us live life, they are now watching out for us. And I like it.